Orson Pratt was born on September 19, 1811, in Hartford, New York, to Jared Pratt and Charity Dickenson. He lived in New Lebanon, Columbia City, New York, from 1814–1822. While there, he attended school in the winter, studying arithmetic and bookkeeping. During the summers, he farmed. In his free time, he studied the Bible. While attending a boarding school from 1829 to 1830, he took classes in geography, grammar, and surveying. In 1830, he first learned about The Church of Jesus Christ of Latter-day Saints, whose members are sometimes nicknamed Mormons. His brother Parley P. Pratt became a Mormon and, while Orson was living in Canaan, New York, Parley and another man arrived on a mission trip. They taught the gospel to Orson, who believed their teachings. He agreed to be baptized and this was done on his nineteenth birthday in 1830. Orson decided to travel to Fayette, New York, to meet Joseph Smith personally, a journey of 200 miles. Joseph received a revelation concerning Orson, which is recorded in the Doctrine and Covenants, section 34. He became an elder (a level of lay priesthood) one month later and left to serve his first voluntary, unpaid mission. He felt insecure about this first mission call, believing his testimony was not yet strong enough, but he accepted God’s command and served. He believed this led to the powerful testimony he received in time. Over the next few years, he would travel extensively as a missionary, serving in Missouri, various eastern states, and then to Kirtland, Ohio, where he boarded at Joseph Smith’s home and attended the School of the Prophets, an adult education program run by the Church. The Quorum of the Twelve Apostles was organized in 1835 and he was called to the quorum. Although today apostles are ranked by time in service, since all of the first twelve were called at the same time, they were organized by age. This placed him tenth in seniority. Members of the Quorum of the Twelve are called to be special witness of the divinity of Jesus Christ and to preach the gospel throughout the world. In 1836, Orson began teaching school and also took up the study of Hebrew with many other Mormons, including Joseph Smith. He then served a mission in Canada and when he returned home he married Sarah M. Bates. He had baptized her a year before their marriage. Following his marriage, he embarked on a study of algebra, demonstrating a life-long habit of continuing education. A year or so following his marriage, Orson Pratt moved to New York. However, despite the fact that the Mormons had fled Far West, Missouri, due to intense persecution, he returned there in 1839. A prophecy had been given that apostles would leave from the cornerstone of the temple there (laid their by Saints before being forced to leave) for foreign missions, and he desired to fulfill the prophecy. In July, he helped arrange his brother Parley’s release from prison, where he was being held for being Mormon. 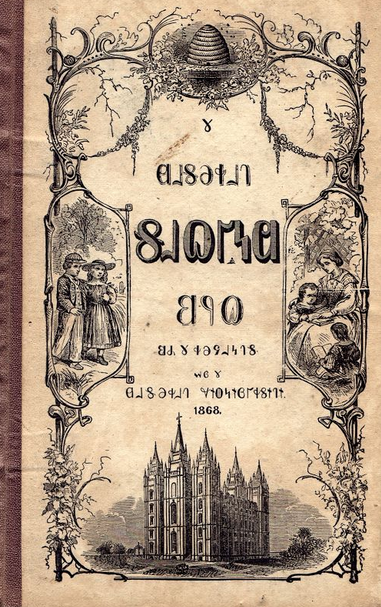 Orson departed for a mission to England and Scotland in 1840 and there wrote the first of many pamphlets teaching the gospel. This pamphlet marked the first time Joseph Smith’s first vision at age fourteen was put into print. It also contained other details about the way the Book of Mormon was obtained that had not yet been recorded. When he returned home, Orson began to have doubts about Joseph Smith. He requested his name be removed from the church until he could decide whether or not he still had a testimony. During this time an apostate member sent a letter to Sydney Ridgon and asked that it be shown to Orson Pratt. It involved communications with someone who was involved in a false arrest of Joseph Smith. Orson took the letter to Joseph Smith himself, wanting to let him know he was not involved in any way with this plot. Five months later, his testimony was restored and Joseph Smith accepted his request for reinstatement, both as a church member and an apostle. Orson Pratt traveled to Washington, D.C. to present a petition requesting protection for citizens of any faith traveling to California and Oregon. He then remained in the east, preaching, and was there when word reached him that Joseph Smith had been murdered. He returned to Nauvoo upon receiving the message. When the Saints were expelled from Nauvoo, Orson joined them in the trek to Utah. He and Wilford Woodruff were asked, through inspiration, to organize one of the companies that would make the journey, which they did. Pratt was, by this time, noted as a scientist. He made certain that each day of the journey someone recorded the temperature and altitude. Orson Pratt was in the first group to reach the Salt Lake Valley, four days ahead of Brigham Young, who now led the church. Orson Pratt gave a series of lectures on astronomy in Utah which attracted large audiences. They were later transcribed and published in the local newspaper. Pratt also entered politics and served in the legislative assembly, being elected Speaker of the House seven times.In 1848, Orson traveled to England as a missionary. He wrote at least fifteen new pamphlets while there and also edited a successful newspaper that helped to teach about Mormonism. From 1853 to 1881 he continued to serve missions outside the country and to write new pamphlets. He became the historian and recorder for the church. He undertook two unusual assignments as he translated the Book of Mormon into the phonetic “Deseret Alphabet” and later into the Pittman Phonetic alphabet. He also made significant changes to the format of the Book of Mormon and Doctrine and Covenants, two books of Mormon scriptures used with the Bible. He divided them into verses with footnotes and references for easier study and classroom use. Pratt helped to prepare the 1849 edition of the Book of Mormon, but his work as editor of the 1879 edition is considered his greatest work. The changes to that edition were extensive, including smaller chapters, division of longer books into shorter ones, numbering the footnotes, and adding study notes. Orson Pratt died in 1881, the last of the original apostles. He died with a reputation for being a great mathematician.